Welcome to our online alumni newsletter! It’s exciting to see so many members of Nivonim 1993 and Nivonim 2005 registered for their reunions! Space is limited so sign up today for your chance to reconnect on the Kikar this summer! Run with Rabbi Soloff! 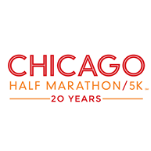 Join RAMAH RUNS for the Chicago Half Marathon and 5K on September 23, 2018! RAMAH RUNS members receive complimentary race registration and will be part of an exciting team raising scholarship funds for campers in need! Email Sam at scaplan@ramahwisconsin.com for more info. The Latest on Aaron Feldman, Randy and Jason Sklar! 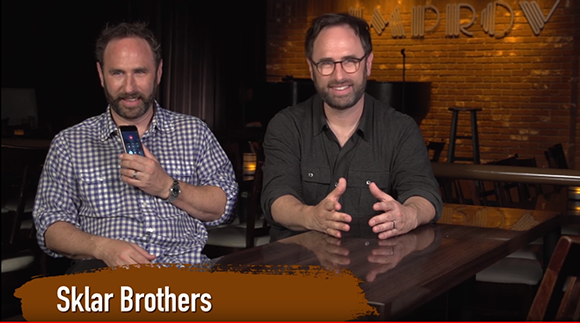 Aaron Feldman, Randy Sklar and Jason Sklar (Nivo 1988) have written, produced and directed a documentary called PoopTalk with limited theatrical release in 10 cities nationwide and is available now through iTunes or Video On Demand. Watch for the next issue of Beynenu when the three alumni share their reflections on camp and how camp has shaped their careers. 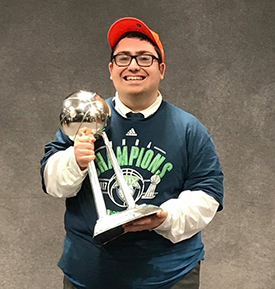 Aaron Freeman (Nivonim 2010) recently spoke with Alumni Coordintor Robin Rubenstein about his work with the NBA/WNBA and reflected on the impact of his summers at Ramah. Where are you originally from, and when were you in camp? I'm originally form Chicago (Wheeling). I started at camp in 2007 when I was in Shoafim and ended as a camper in Nivonim 2010. I was on staff for two summers - 2012 (JC- cabin counselor) and 2013 (SC- cabin counselor). What did you love most about camp as a camper, and what about as a staff member? Camp is a very special place both as a camper and as a staff member. I've met some of my closest friends at camp and created some of my favorite memories in both capacities. At the root of it for the same reason, when you go to camp every summer, anything that is going on at home or outside of our little community just stops. You're able to be at camp and enjoy every moment, not thinking about anything else except having fun with your closest friends. Obviously as a camper and as a staff member, you're at different stages of life. So as a camper, it's the pure joy of being with your friends, enjoying everything that camp has to offer and just being a kid. As a staff member, you're there to give other kids the experiences you had when you were a camper, while also figuring out what life looks like as you begin college or whatever stage of life you're in. Mazal Tov to Bruce Ratain (Nivonim 2005) on his engagement to Hannah Feldman. Mazal Tov to Ron Schrag (Nivonim 2007) on his engagement to Rebeccah Hartz. Mazal Tov to Natalie Saltzman (Nivonim 2009) on her engagement to Matan Yosef. Mazal Tov to Alexandra Zimmern (Nivonim 2009) and Jeremy Rosenberg on their marriage. Mazal Tov to Dan Weiss (Nivonim 2007) and Dani Wolf (Nivonim 2008) on their marriage. Mazal Tov to Benjamin Ross (Nivonim 1996) and Faye Wang on their marriage. Mazal Tov to Debbie (Kaplan) (Nivonim 2000) and Michael Mnookin on the birth of their son Miles Irving in November 2017. Mazal Tov to Shaina and Avi Herring (Nivonim 2003) on the birth of their daughter Liba Amalya in November 2017. Mazal Tov to Tali (Korrub) (Nivonim 2003) and David Nole on the birth of their son in November 2017. Yoni Maltsman (Nivonim 2015) spent a gap year traveling in India. Read about his experiences here. Kol HaKavod to Rabbi Na'ama Levitz Applbaum (Mishlachat 2002) who will become the next Director of Ramah Israel Seminar. Read an article about brothers Dan (Nivo 2008) and Sam (Nivo 2012) Eisenberg reconnecting in Israel. We mourn the recent passing of Rabbi Jerome (Jerry) Abrams, director of Camp Ramah in Wisconsin in 1956-57. 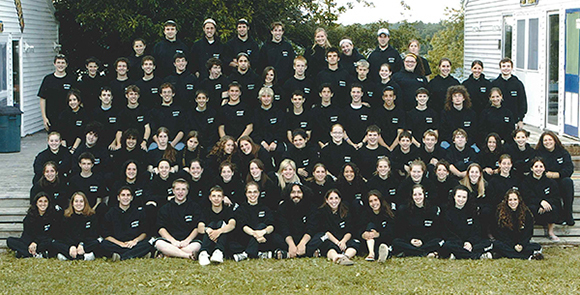 Jerry also served as director of Camp Ramah in Connecticut (1958-60) and Cejwin Camps (1967-78), and was the director of personnel for the Ramah camps (1960-1964). He was also the founding director and director emeritus of Camp Ramah in the Berkshires, where he served in the 1960s and from 1980-1991. Ramahnik Updates are a part of every issue of Beynenu so please let us know what's new with you! Send your update to: Alumni Coordinator Robin Rubenstein at rrubenstein@ramahwisconsin.com. Did we get something wrong? Let us know so we can print a correction. We look forward to hearing from you! Let's see those future Ramahniks! 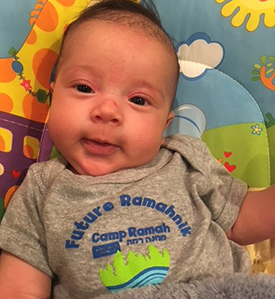 Contact Robin Rubenstein at rrubenstein@ramahwisconsin.com if you would like a "Future Ramahnik" onesie for your baby! Be sure to send pics when you receive it! Do you follow us on social media? If not, then you should! We post fun photos and videos almost every day and it's a great way to stay connected to camp and your camp friends. Check us out on Facebook, Twitter and Instagram. Be sure to follow the Ramah Day Camp Facebook page as well. We know a lot of you are alumni or have children who went to the day camp, so check it out! For those of you who are alumni of either camp, make sure to tag us when you post photos with your camp friends, especially when you're getting together for s'machot! 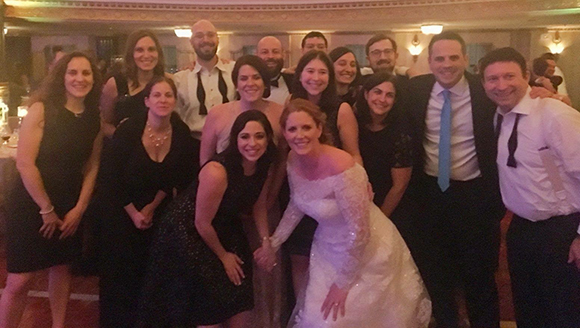 We love seeing Ramah friends at weddings, baby namings, engagement parties, etc. We are @campramahinwisconsin or @ramahday on Facebook and @ramahwisconsin on Instagram. You can also send your photos to our Alumni Coordinator Robin Rubenstein at rrubenstein@ramahwisconsin.com for inclusion in upcoming issues of Beynenu! Ramahniks at Leehe Matalon's (Staff 2000s) recent wedding. You still have the opportunity to leave your mark on the new Nivonim campus! Go to www.GivahCampaign.org to design your brick today and forever leave your mark at Camp Ramah in Wisconsin. 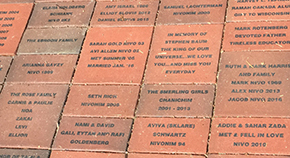 If you are interested in Hebrew engraved bricks, please contact Shaina at SSugar@ramahwisconsin.com or 312-690-8333. Check out www.givahcampaign.org for more information on the new campus and to take a 360 virtual reality tour of the original cabins! 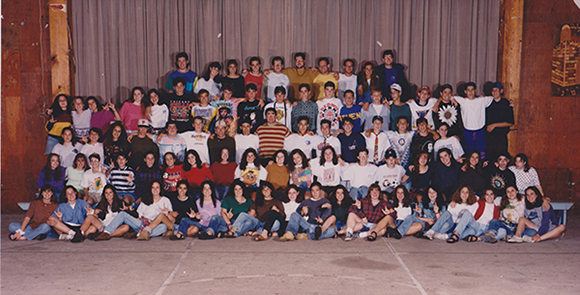 The Reshet Ramah website has a lot of great resources for Ramah alumni! Check out the alumni directory, the job board, the Ramah marriages registry and more. The blog features a recent article by Rosh Tikvah 2018 Jared Skoff. Save the date! As part of Yom Massim Tovim, Reshet Ramah in Chicago will be volunteering at the JUF Uptown Cafe. We'll need 12 volunteers each night on June 4, 5 and 7 from 5:30 pm - 7:30 pm. Watch your email after Pesach for a registration form. Are you marking a special birthday or anniversary? Celebrating a Bar or Bat Mitzvah? Running a marathon? Honoring or remembering a loved one? Now you can include Ramah in your special occasion. My.ramahwisconsin.com is a peer to peer fundraising program designed to provide current campers, parents, alumni and friends of Ramah with tools to help raise much-needed scholarship funds. The site offers personalized fundraising pages and provides inspiration every step of the way. 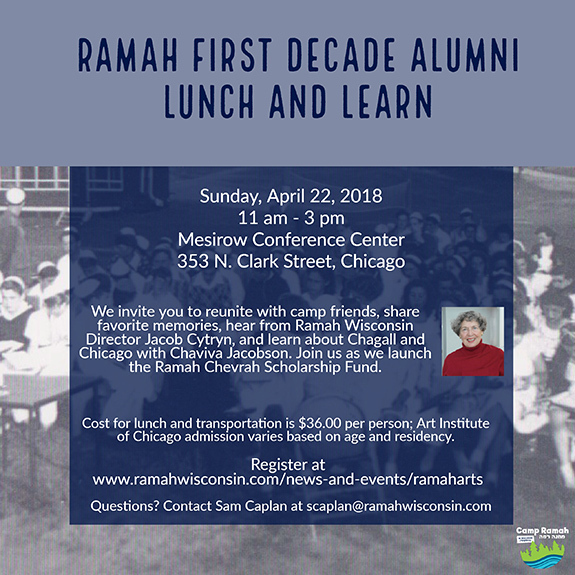 For more info contact Sam Caplan, Chief Development Officer, at scaplan@ramahwisconsin.com or 312-690-8332. Copyright @ Camp Ramah. All rights reserved. To opt out of all of our communications, please unsubscribe. To choose which communications you receive, click here.